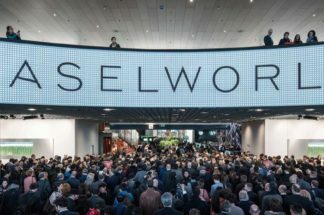 Of late, it seems that the Salon International de la Haute Horlogerie (SIHH) is determined to grow up, more than challenging Baselworld in the quality and scope of brands that are invited to showcase their latest wares at Geneva’s Palexpo. One of the most exciting first-timers to show in 2018 is French powerhouse Hermès and, judging by the pieces, Revolution has been shown so far, we are excited to see what else is to come. 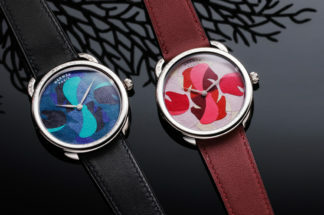 Never failing to astound with one-of-a-kind enamelled dials and deliciously “pointless” complications such as the Le Temps Suspendu and L’Heure Impatiente, Hermès is equally as good at producing exceptional design pieces for the more mass market – think the Apple Watch Hermès collaboration. 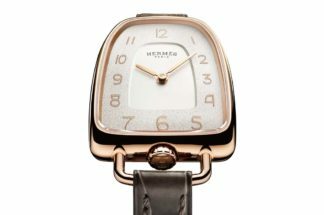 This year the – dare I say – “iconic” Carré H, turns eight and to celebrate, the Hermès perfect square has received a makeover by its originator, Marc Berthier. The French designer and architect, one of the first to create plastic furniture at affordable prices with the Ozoo line in 1967. Continuing with his love of everyday objects he went on to design pieces such as the Tykho Euro calculator in 1995, the Tykho radio (a piece on permanent display at the MOMA collection in New York) in 1997 and the Captain Hook armchair in 1999. After completing his studies at the School of Beaux Arts in Paris, Berthier went on to win the Grand Prix National de Création Industrielle, two Compasso d’Oro, the Gabriel Prize, the Art and Industry medal and the New York Accent Design, among other accolades. His love of clean lines led to him being the perfect candidate to design the Carre H to Hermès’ brief of a fit for a 21st-century international dandy. Deceptively simple, each angle, line and curve is calculated to micromillimetres, while the minimalist dial aesthetic is a perfect disguise for the complex mechanical heartbeat below. 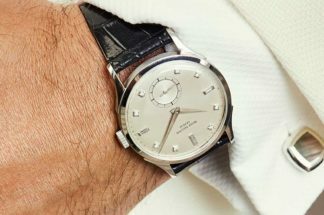 In 2010, he created the Carré H, an instant hit thanks to its contemporary lines and unusual square case shape, and a watch that has remained in the Hermès timepiece collection ever since. Now, for its 8th birthday, Berthier has added tweaks that bring the classic bang up to date. 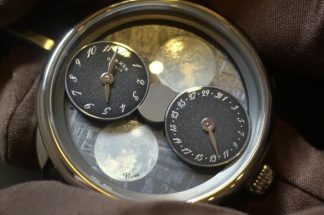 A larger stainless-steel case (38x38mm as opposed to the previous 36.5×36.5mm) provides the perfect canvas for the mix of polished and microbead-blasted finishes, which play with light in a way that few designers have mastered – the effect continuing through the rounded edges of the case, the angled guilloché dial and facetted hands and numerals. The new Carré H is available with either dark grey or black opaline guilloche dial with finely grained chapter ring, applied rhodium-plated hour-markers and Arabic numerals, coated with Super-LumiNova and rhodium-plated hour and minute hands, again coated with Super-Lumi-Nova. Depending on the model, the seconds hand is in either yellow or red.